WordPress is one of the most popular content management systems in use today, and it is used on millions of websites throughout the world. Originally, WordPress was developed as a blogging platform, and while it is still used for that purpose it has developed over the years into a richly featured CMS with a huge variety of uses. It is quick and easy to setup, with an installation that doesn’t require any technical knowledge, and you can easily customize your install with a constantly expanding library of themes and plugins. Managing and publishing content to your WordPress site is a painless process thanks to the simple CMS, which has a gentle learning curve. WordPress features automatically saved revisions too, so if you need to roll back your content you can do so easily. What are examples of the sites I can build with WordPress? Pretty much any type of website that you can imagine can be built using the WordPress platform, thanks to its flexability and active developer community. There are usually both paid and free off-the-peg solutions available, and it is worth having a look around at the options available to you. You can also create your own theme from scratch, or create a child theme. A child theme is where the developer takes an existing theme and creates a modified sub theme, this can be useful if you are looking to add something bespoke to your site but don’t want to build a new theme from scratch. There is also the added benefit of being able to update the parent theme without overwriting your custome code. Nowadays there are a few eCommerce solutions for WordPress, with WooCommerce and WP eCommerce being the most popular. You can install the plugins yourself, or get an all-in-one theme that includes the integrated plugins. Often, theses themes have extra features that can be unlocked for a small fee. There are many themes and plugins that are tailor made for showing off your artwork, products or photography, and the easy to use CMS makes easy work of organizing your images and other content. In addition, you can add plugins that will automatically optimize your images, improving page load times and making for a better mobile user experience. Again, there are many free and paid for solutions for setting up a WordPress knowledgebase, and you can also set one up yourself using a plugin. Categories are easily defined, and frequently asked questions, guides and tutorials can be added using the WordPress CMS. It’s no surprise that WordPress is ideal for setting up a blog or personal website, as this was what it was originally intended to be used for. It is very easy to get a blog setup with WordPress, and there is a huge community of users who can give you tips and advice should you get stuck. WordPress is easy to setup using their famous one click installer. This usually takes a matter of minutes, and doesn’t require any technical knowledge on your part at all. You can also install WordPress manually if you wish, and again the process is clean and simple. As a result of WordPress being a very popular platform for websites, it is a target for hackers and other malicious attacks. However, as long as your site is maintained well you should remain secure. Follow the tips below to prevent attacks on your site being successful. The admin area for your WordPress CMS should use a strong password. Passwords like 123456 or password1 leave your site wide open to attacks. Keep your site up to date. WordPress will automatically update to the latest version nowadays, but you should also regularly check your themes and plugins for required updates. Keep a regular backup of your site. In a worst case scenario, being able to roll back to a version of your site that is a few days or a week old will save you a lot of trouble! WordPress is a highly adaptable platform for you to build your website, and it is equally suited to web novices and more advanced users. 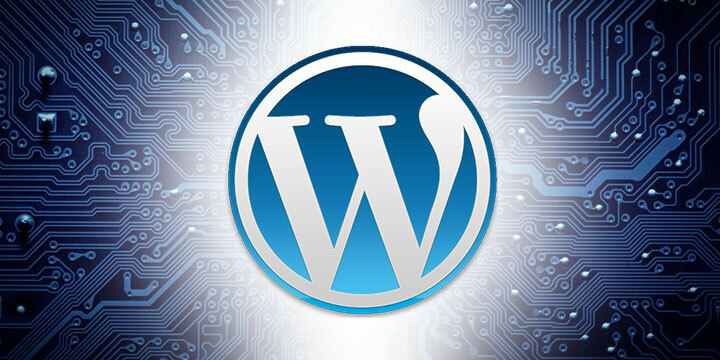 If you would like to know more about our WordPress Hosting packages, you can read more here. Alternatively, if you would like to discuss your hosting requirements with us or have any questions, then please get in touch.